The surreal meeting between Donald Trump and Kim Jong Un in Singapore on Tuesday was perhaps best summed up by the performance of former basketball star Dennis Rodman. Wearing his “Make America Great Again” red baseball cap, dark sunglasses and a shirt emblazoned with his marijuana cryptocurrency sponsor, Mr Rodman broke down in tears on CNN as he declared June 12 a great day for the whole world. Mr Trump’s rambling press conference at the conclusion of the summit only enhanced the aura of reality television spectacle. In more than an hour of banter with a room full of reporters, the US president revealed a list of American concessions that went well beyond anything Mr Kim could have imagined. Along with a promise to end joint military exercises with South Korea, Mr Trump said he expected a formal peace treaty between the two countries would be signed soon and indicated his strong desire to eventually remove the 32,000 US troops stationed in South Korea (it does not appear to have been consulted before Mr Trump decided to unilaterally end the joint exercises). In that context, the short joint statement signed by the two men can only be interpreted as a victory for the North Korean dictator. Apart from bland commitments on both sides to establish new relations and work towards peace, the document committed Pyongyang to merely “work towards the complete denuclearisation of the Korean peninsula”. Mr Trump chose to ignore the fact that Mr Kim’s regime interprets that phrase as the removal of America’s nuclear umbrella from South Korea in exchange for denuclearisation in the north. In outlining the concessions he had extracted from Mr Kim, the US president complained he had not had enough time at this summit to agree a more comprehensive “de-nuke” agreement. He lingered on Pyongyang’s commitment to return the remains of American soldiers killed or captured in the Korean war and talked vaguely about Mr Kim’s promise to destroy a missile engine testing site at some point in the future. Both promises are meaningless from Mr Kim’s perspective. Mr Trump did say tough sanctions on North Korea would not be lifted until real progress was made towards denuclearisation. But enforcement of those sanctions is largely in the hands of China, North Korea’s biggest trading partner and benefactor, and on Tuesday a spokesperson for the Chinese government insisted sanctions should be eased to reward North Korean commitments to peace. If Mr Trump changes his mind and attempts to ramp up sanctions again it is now very unlikely China would be willing to enforce them. Beijing has watched this summit from the sidelines but will celebrate Mr Trump’s talk of troop drawdowns and cancelling US military exercises, which he called “very expensive” and “very provocative”. One of China’s most treasured goals is the eventual removal of US troops from its neighbourhood. At one point in his press conference, Mr Trump provided some insight into his mindset when he asked everyone to “think of it from a real estate perspective”. He advised Mr Kim to imagine the potential of his “beautiful beaches” if he were to stop using them for artillery exercises and built condos on them instead. Buried in these musings is the valid point that North Korea has much to gain if it can get support from the US and its capitalist neighbours to help restore its devastated Communist economy. But if it can get help with building its economy while keeping its nuclear weapons, that is certainly the preferred option. It is quite possible Mr Trump will return to the US and change his mind about some of the promises he made. It is also possible his apparently overwhelming display of goodwill towards the dictator will lead to real concessions on the part of Pyongyang. But for now Mr Kim has shown himself to be the cannier dealmaker. A SEMBLANCE of normality returned to São Paulo, Brazil’s biggest city, after a ten-day strike by lorry drivers that had paralysed traffic, shut down petrol stations and emptied grocery-store shelves. 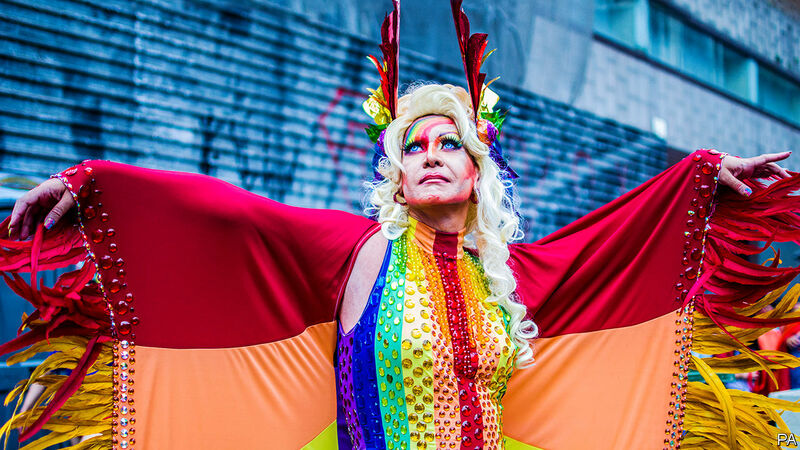 The annual gay-pride parade, held on June 3rd, brought 3m people to Avenida Paulista, the city’s main street. Football fans packed bars to watch Brazil’s team play a World Cup warm-up game against Croatia. But this resumption of ordinary life is deceptive. The drivers’ strike, called to protest against higher fuel prices, marks an ominous beginning to a political season that will culminate in national elections in October. It has demonstrated Brazilians’ taste for irresponsible policies and boosted the prospects of the most extreme candidate in the presidential race, Jair Bolsonaro, a right-wing former army Captain. It also showed that the next president will have a hard time enacting the reforms needed to maintain economic stability. The strike ended only after Michel Temer, the country’s unpopular president, agreed to subsidise diesel for 60 days and to adjust its price monthly rather than daily. That prompted the resignation on June 1st of Pedro Parente as chief executive of Petrobras, the state-controlled oil company, which had raised prices in response to higher international oil prices and a weaker real. The strike could prove to be a watershed moment for the elections, says Pablo Ortellado, a professor of public policy at the University of São Paulo. Although the lorry-drivers’ rebellion made life miserable, 87% of Brazilians supported it, according to Datafolha, a pollster. As well as calling for cheaper fuel, many drivers demanded a crackdown on corruption and crime, which have dominated headlines under recent administrations, including that of Mr Temer. Petrobras has been a byword for graft. Under earlier bosses it was the conduit for enormous bribes paid by construction companies to politicians. Celso Rogerio Gomez das Neves, a mechanic taking a break at a corner bar in São Paulo, admits that Petrobras raised prices to compensate for higher costs, but also thinks that its executives were “stealing from the Brazilian people”. Some drivers hung banners from their cabs demanding “military intervention” to deal with crime and corruption. Far-right groups dominated online discussion of those themes during the strike, according to an analysis by a data lab run by Fabio Malini, a scholar of internet culture at the Federal University of Espírito Santo. The digital savvy of the strikers, who organised through thousands of interconnected WhatsApp groups, foreshadows the role that social media are likely to play in the presidential election, says Mr Malini. Both the ideology and the techie tactics have echoes in the campaign of Mr Bolsonaro, whose Social Liberal Party counts for almost nothing but whose Facebook page has 5.5m followers. He tweeted support for the drivers but distanced himself from appeals for political intervention by the army. Military rule might “return by the ballot”, meaning through the generals that he plans to appoint to his cabinet if he is elected, he told reporters at an evangelical “march for Jesus” on May 31st. No candidate reflects better the electorate’s anti-establishment mood. The proportion of Brazilians saying that “traditional political parties do not care about people like me” jumped from 69% in November 2016 to 86% in March this year, according to IPSOS Global, a pollster. The share who think Brazil needs “a strong leader who will break the rules” rose from 48% to 89%. Mr Bolsonaro “feeds off fear and hopelessness”, says Cláudio Couto, a political scientist. His view that “a gay son needs a beating” appeals to some social conservatives. His iron-fisted approach to crime (he would give police a “blank cheque” to shoot miscreants) is popular with a bigger group. Like Donald Trump, or Rodrigo Duterte in the Philippines, he gets points for supposedly plain speaking. “He says what he thinks,” says a taxi driver in São Paulo as he drops off a carful of revellers clad in rainbow colours at the pride parade. In the first nationwide poll since the strike of voting intentions for the first round of the presidential election, Mr Bolsonaro came out ahead against three different lists of potential rivals, with 21-25% of the vote. Three-quarters of his supporters say they will not change their vote before election day. The only politician who outpolls him is Luiz Inácio Lula da Silva, a left-wing former president. But he is in jail for corruption and is unlikely to be able to run. Mr Bolsonaro’s closest rival is Ciro Gomes, a centre-left former governor who occasionally sounds like a populist. He gets the support of 11-12% of voters. That would rise if Lula endorses him. Geraldo Alckmin, the centrist former governor of the state of São Paulo, is backed by just 6-7% of voters. His Facebook page has 900,000 followers, about a sixth of the number that Mr Bolsonaro’s has. Mr Alckmin’s supporters argue that he will do much better than the polls suggest. His Party of Brazilian Social Democracy (PSDB) has a large number of seats in congress, which will entitle him to lots of free advertising time on television and public money for his campaign. The PSDB can add to that by forming coalitions; last week it opened negotiations in congress with centre-right parties. By early August, Brazilians will come to realise that Mr Alckmin, who trained as an anaesthesiologist, is a “doctor” for the country’s economic and political ills, says Luiz Felipe d’Avila, an adviser. Voters “are more rational than irrational”, he believes. The financial markets hope that is true. Mr Alckmin is the only one of the leading candidates with any enthusiasm for the programme of economic reforms begun by Mr Temer, which helped pull Brazil out of its worst-ever recession. Mr Temer pushed through a constitutional amendment to freeze government spending in real terms and liberalised the labour market. But he has failed to curb pension spending, the main long-term threat to the budget. His cave-in on diesel prices will add to the fiscal burden that the next president will inherit. The lorry drivers have made it more urgent that Brazil elect a reformer as president in October. They have also made that less likely. After months of relative silence from Saudi Arabia, this was a noisy weekend. For the second time since he was named heir to the throne last June, Crown Prince Mohammed bin Salman announced a major Cabinet reshuffle, this time focusing on ministries related to culture, Islamic life and social development. Just one day earlier, French newspaper Le Monde reported that the crown prince had sent a letter to French President Emmanuel Macron threatening to attack Qatar, the target of last year’s Saudi-led blockade, if Doha acquired Russian-made S-400 air defense systems. Last but not least, Israeli news site News1 published an article about Saudi Arabia’s plans to develop nuclear weapons capabilities, potentially with help from Pakistan or Israel. These stories point to the intense internal and external pressures Saudi Arabia is facing, even with the recent spike in oil prices. The Cabinet reshuffle is further evidence of Mohammed’s attempt to win the loyalty of the Saudi bureaucracy. The first salvos in this campaign were aimed at the military and wealthy Saudi citizens – two groups that could have been hotbeds of dissent against the young crown prince. Now Mohammed is turning to some of the ministries that will be responsible for implementing the reforms upon which he is staking both his life and his country’s future. Mohammed has managed to install individuals loyal to him at many levels of Saudi Arabia’s political, military and religious structure, and the most surprising thing is that he has done so without creating significant backlash against his rule. Perhaps his opponents are biding their time, or perhaps there is a consensus within the ruling elite over the direction the country must take. Mohammed is by no means out of the woods – his position remains extremely precarious – but each step he takes allows him to cement his authority even further. He will need all the support he can get as he tries to transform Saudi Arabia from a tribal petrostate to a mature, 21st-century nation. Le Monde’s report on the Saudi threat to attack Qatar is not nearly as heartening. This time last year, Saudi Arabia initiated a coordinated diplomatic assault against Doha to get Qatar, which was getting cozy with Riyadh’s main rivals Iran and Turkey, to fall back in line. Riyadh had no intention of allowing Qatar to become a fifth column in the Gulf, which Saudi Arabia views as its sphere of influence. So Saudi Arabia got its allies, including the United Arab Emirates, Bahrain, Egypt and Yemen, to sign on to a plan to isolate Qatar economically and financially. But the plan backfired. Qatar didn’t bend, Al-Jazeera didn’t shut down, and the U.S. didn’t stop using Qatar as its forward headquarters for U.S. Central Command. In fact, Qatar’s economy grew stronger after the initial shock wore off, and its relationship with Turkey has deepened, with Qatar even agreeing in March to allow Turkey to establish a naval base in the country. Qatar also hasn’t stopped dealing with Iran on a pragmatic basis, restoring full diplomatic relations with Tehran two months after Saudi Arabia’s aborted attempt to bring Doha to its knees. Indeed, the Saudi strategy actually demonstrated Saudi Arabia’s fundamental weakness, not its strength. If the report from Le Monde is true, Saudi Arabia is now pressing the issue once more. If Qatar were to acquire the S-400 system, it would help negate Saudi Arabia’s only real military advantage over its neighbors – its formidable air power, built through years of acquisitions of U.S. military hardware. Saudi Arabia has already seen what Russian involvement in the Middle East can mean for Saudi interests; Moscow’s intervention in Syria is the primary reason Bashar Assad’s regime survived, spoiling both Saudi and Turkish hopes to replace Assad with a Sunni leader. Saudi Arabia does not want Russia to prop up yet another Middle Eastern regime hostile to Saudi interests, especially not one with which Saudi Arabia shares a border. But Saudi Arabia is playing a dangerous game here, one that it may not be able to win. On the one hand, Riyadh can’t look much weaker than it already does when it comes to Qatar, so there is little lost in making the threat and not following through. But following through on the threat would be dangerous because Riyadh could find itself not just stoking tensions further with Iran but even forcing Turkey – which already has a military base in Qatar in addition to the naval base that was agreed to – to directly oppose Saudi moves. The Israeli media report that Saudi Arabia may pursue nuclear weapons if it becomes clear that Iran has done the same is based mostly on conjecture and inference. There is no evidence that Pakistan is stockpiling nuclear bombs to transfer to Saudi Arabia should an arms race begin in earnest, only unconfirmed reports. Furthermore, the headline attracting most of the attention – that Israel might be transferring nuclear information to Saudi Arabia – is based not on evidence but on what the author describes as a “reasonable assumption” based on Israel’s interest to cultivate closer ties to Saudi Arabia. It’s still notable, however, that a potential Saudi move to acquire nuclear weapons is being talked about at all. Saudi Arabia’s foreign minister told CNN in May that the country would absolutely pursue a nuclear weapons program should Iran restart its own program following the U.S. withdrawal from the Iran nuclear deal. And since most indications suggest Iran never intended to fully give up its nuclear weapons program in the long term, even if it was willing to suspend uranium enrichment in the short term, a nuclear arms race between the Middle East’s major powers is a matter of when, not if. Indeed, there is perhaps no country outside of Israel for which nuclear weapons would be more valuable than Saudi Arabia, especially if the United States pulled back from the region in the future. Of the major Middle Eastern powers vying for regional supremacy, Saudi Arabia is by far the weakest, and nuclear weapons are a tremendous equalizer. In other words, though we cannot confirm the veracity of the Israeli report, we also cannot find much fault in the underlying logic of its prediction. Though Saudi Arabia has taken its licks in recent years, it remains a rich petrostate with formidable if limited conventional military capabilities and a history of relying on proxies to do its bidding. Riyadh no doubt still favors this strategy, as evidenced most recently by reports in Turkish media suggesting that Saudi Arabia and the UAE are working to create a new Arab militia in northeastern Syria that might be sympathetic to Saudi interests. The problem for Saudi Arabia is that this strategy has consistently failed to bring about an improvement in its overall strategic position, and in all directions, Saudi Arabia faces enemies stronger than itself. The crown prince can shuffle his Cabinet all he wants, but even if he can transform Saudi Arabia – a herculean task in its own right – his country is not even powerful enough to get Qatar to toe the line. In that sense, these three reports from the weekend offer a window into the imminent challenges Saudi Arabia is facing – and it’s not a pleasant view. Mattis and Congress push back against Beijing’s South China Sea deployments. While President Trump focuses on trade and North Korea, China is aggressively building military outposts beyond its borders in the South China Sea. Beijing wants to push Washington out of the Indo-Pacific, and the Trump Administration and Congress may finally be developing a serious strategy to respond. Trillions of dollars of trade annually float through the Indo-Pacific, which stretches from East Africa through East Asia. In recent years China has built military bases on artificial islands hundreds of miles from its shores, ignoring international law and a 2016 ruling by a United Nations tribunal. The buildup has accelerated in recent weeks, as China has deployed antiship missiles, surface-to-air missiles and electronic jammers on the Spratly islands and even nuclear-capable bombers on nearby Woody Island. This violates an explicit promise that Chinese President Xi Jinping made to Barack Obama in 2015 that “China does not intend to pursue militarization” on the Spratlys. The next step could be deployed forces. At that point “China will be able to extend its influence thousands of miles to the south and project power deep into Oceania,” Admiral Philip Davidson, who leads the U.S. Indo-Pacific Command, said in April. In the face of China’s buildup, the U.S. has shown uneven commitment. Mr. Obama limited freedom-of-navigation patrols to avoid a confrontation and never committed the resources to make his “pivot to Asia” a reality. China saw Mr. Obama’s hesitation and kept advancing. The growing concern is that China will begin to dictate the terms of navigation to the world and coerce weaker neighboring countries to agree to its foreign policy and trading goals. He pointed to the Rimpac cancellation as a “small consequence” of this behavior and said there could be “larger consequences,” albeit unspecified, in the future. One such consequence could be more frequent and regular freedom-of-navigation operations inside the 12-mile territorial waters claimed by China. Joint operations with allies would have an even greater deterrent effect, and the U.S. should encourage others to join. Beijing will try to punish any country that sails with the U.S., but that will underscore the coercive nature of its plans. Believe it or not, Congress is also trying to help with the bipartisan Asia Reassurance Initiative Act (ARIA). The Senate bill affirms core American alliances with Australia, Japan and South Korea, while calling for deeper military and economic ties with India and Taiwan. It notably encourages regular weapons sales to Taipei. The bill authorizes $1.5 billion a year over five years to fund regular military exercises and improve defenses throughout the region. It also funds the fight against Southeast Asian terror groups, including Islamic State. This will help, but more will be needed. This year’s $61 billion military spending increase was more backfill than buildup, and China recently boosted its defense budget 8.1%. ARIA also tries to address Mr. Trump’s major strategic blunder of withdrawing from the Trans-Pacific Partnership trade deal, which didn’t include China. The Senate bill grants the President power to negotiate new bilateral and multilateral trade deals. It also calls for the export of liquefied natural gas to the Indo-Pacific and authorizes the U.S. Trade Representative to negotiate a deal with the Association of Southeast Asian Nations (Asean). If the U.S. had a trade rep who believed in trade, this could strengthen the U.S. relationship with Vietnam and the Philippines—countries at odds with China over its territorial claims and militarism. The bill is backed by Republicans Cory Gardner and Marco Rubio and Democrats Ben Cardin and Ed Markey, which is a wide ideological net. China’s rise, and Mr. Xi’s determination to make China the dominant power in the Indo-Pacific, is a generational challenge that will require an enduring, bipartisan strategy and commitment. A firmer stand to deter Chinese military expansionism is an essential start. Central Bankers Versus the Market: Who Would Lend Better? Imagine giving a committee of central bankers direct control of how much lending happens in an economy. Sound disruptive? Vulnerable to political meddling? Well, Swiss voters could make it happen on June 10 in one of the country’s many referéndums. A vote in favor would transform how banks function and likely cut profits on lending. But local bankers aren’t hyperventilating yet. The Swiss tend to reject crazier popular initiatives. In recent years, for instance, they voted against proposals to force the central bank to hold 20% of its assets in gold bullion and ban financial speculation on food. However, the banking proposal isn’t completely mad. Since the 2008 crisis, several countries have discussed similar ideas as a way to tame boom-and-bust credit cycles. Some mainstream media have promoted such changes, including the Financial Times. Full-reserve banking means all instant-access deposits, like checking accounts, are backed by central bank reserves, so people’s money is always safe. The U.S. came close to introducing full-reserve banking in the 1930s as a way to stop bank runs. Ultimately, it created deposit insurance instead, as have other countries, including Switzerland. 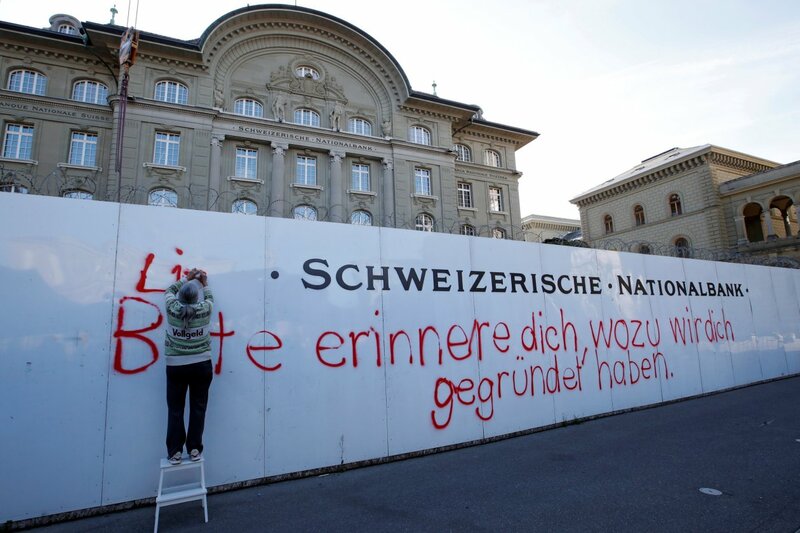 Swiss campaigners are more interested in preventing credit bubbles. Their proposal would mean banks can decide who gets to borrow and how, but they would have to back loans with longer-term funding—like peer-to-peer lenders do. Banks couldn’t lend money they don’t have, which is how they create money today. Instead, only the central bank could create money, giving it control over the amount of lending. 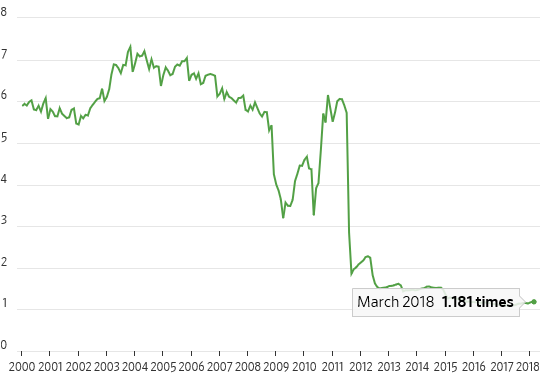 Today, central banks control the price of money through interest rates, but let the market (in the form of banks and borrowers) work out how much money the economy needs. One worry is that the central bank could be slow to respond to demand for credit, restricting supply. Bankers, driven by profits, may be quicker to act on moneymaking opportunities. The proposal would likely hurt lending profits because longer-term funding is more expensive than ultracheap ordinary deposits. That said, it wouldn’t affect private banking or international operations, so the biggest Swiss banks, Credit Suisse , Julius Baer and UBS , would be somewhat protected. A change wouldn’t crimp lending straight away because, by chance, Swiss deposits are currently more or less matched by central bank reserves. That is a side effect of all the money printing done to hold down the once-soaring Swiss franc and promote inflation. Switzerland could turn on full-reserve banking tomorrow and banks overall would roughly meet the requirements. The real risk isn’t that credit growth could be slow in an improving economy, but that it might be harder for the central bank to restrict lending when things get too hot. The Swiss central bank is independent, like its equivalents in the U.S. and U.K. But if it has to decide when to turn credit off—which could directly cut growth and cost jobs—the temptation among politicians to step in would likely be too great to resist. There is no guarantee that politicians or central bankers make better decisions than the market. Back in the late 1990s I interviewed for an analyst job with a value-oriented money manager. My main impression of our talk was how sad the guy was. The tech bubble was in full swing, any little nothing company with even a tangential relationship to the Internet was soaring, and this poor guy’s cash-rich, super-safe stocks were lagging so far behind the market averages that it was hard to see how he kept a single client. Don’t know what happened to him, but if he managed to hang in for just another couple of years he probably outperformed the NASDAQ by an unreal margin for a while. “One of the toughest things is being able to articulate what value investing is anymore,” said Laton Spahr, the portfolio manager of Oppenheimer’s value fund. The aftermath of every single blow-off top has favored value over growth. Unfortunately, only a relative handful of value managers are still there to enjoy the vindication.